The 15th Beijing International Automotive Exhibition is perhaps the most diversified auto show in the world with more than 1,200 exhibitors from 14 countries and regions across the globe. This year's show featured a solid mix of futuristic concepts and daily drivers with an emphasis on electric vehicles. In Southern California, we like to think that we are at the epicenter of everything, most especially the automotive market. While California is the 10th largest market in the world, buying more cars than Canada and nearly as many as Italy in 2017, the number one market is not surprisingly China, both in terms of supply and demand. In 2017, China produced almost 25 million passenger cars and around four million commercial vehicles. China is expected to also drive demand in the automotive market, with close to 35 million expected vehicle sales in 2020. 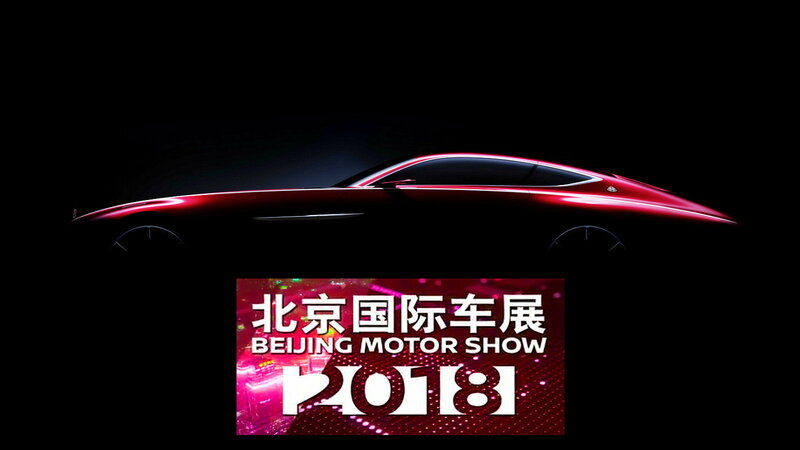 With these impressive statistics in mind, it’s no wonder that the Beijing Auto Show is perhaps the premier auto show in the world, and Beijing 2018 promised to bring to the table, or more appropriately the stage, a variety of futuristic concepts and daily drivers from the biggest global brands such as BMW, Buick, Infinity, Lexus, Mercedes-Benz, Honda, Maybach, and more. As expected, electric vehicles took center stage given China’s new focus on non-internal combustion mobility. Click forward to take a look at some of the most interesting cars at the show, starting of course with Mercedes. The Vision Mercedes-Maybach Ultimate Luxury concept made its global debut in Beijing. 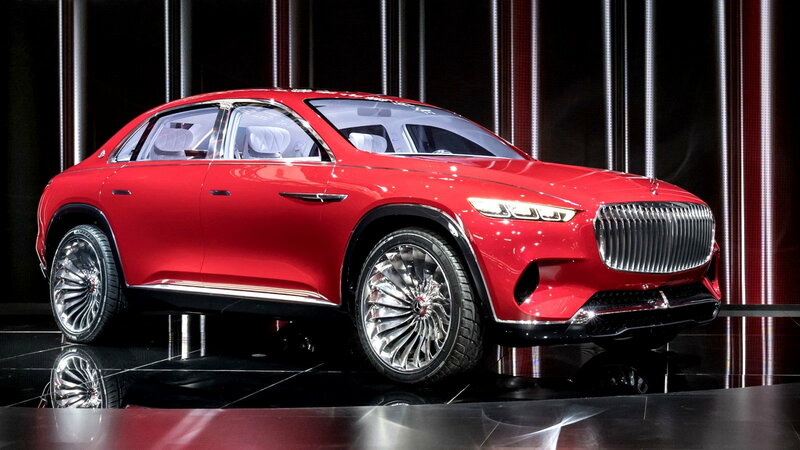 As its name suggests, this 750 horsepower Maybach crossover is designed to be the last word in all-electric luxury. This SUV is based on the Mercedes GLS, but for now, we merely have a glimpse at the overall concept, so it is yet to be confirmed what the final product will look like. What we do know is that it comes with a three-box saloon rump and a split rear screen in the manner of a Bugatti Atlantic. Its 24-in chrome-effect wheels were the most modest thing about it. Officially gauging opinion, the size of the crowds the car drew must mean there’s a fair chance it will see production. For more information and images, click here. >>Join the conversation about the cars that debuted in Beijing right here in MBWorld. If you want a Mercedes you can buy at the showroom, look no further than the new long wheelbase A-Class sedan. The Chinese-built A-Class L, which made its debut at the Beijing Auto Show, will feature more legroom than the standard A-Class but will share the same styling. “They’re the same model but in different lengths. 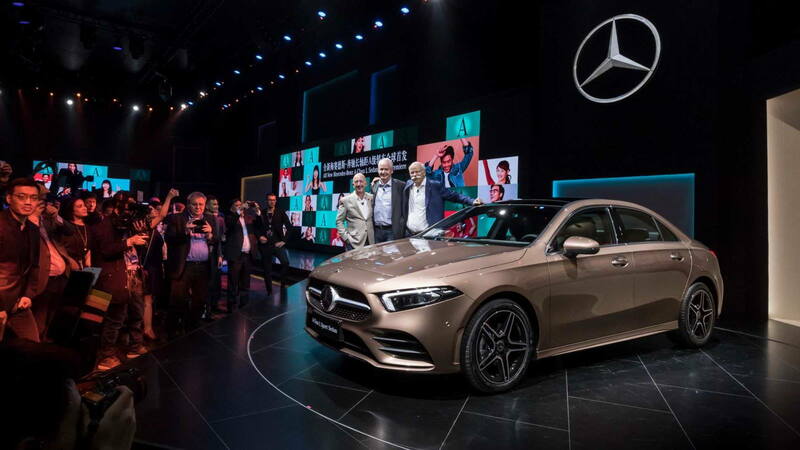 The added length of the Chinese version is concentrated wholly within the rear door, which is longer than that of the A-Class Saloon to be sold in other world markets to ease entry to the rear,” Mercedes-Benz’s chief design officer, Gorden Wagener. Unfortunately, the model will only be available in China and the UK. "It's hard to see among the crowds but the Q5L, Audi’s first long-wheelbase SUV, looks only subtly different to the standard car," says Autocar news editor Rachel Burgess. "Nor does rear room look notably bigger, but then the guy sitting in the rear could have been 7-feet tall.” As it turns out, the L in Q5L stands for “longer” because this version of the SUV is 88mm (or 3.5 inches) longer than the standard version. That amounts to 4.3 more inches of leg room. 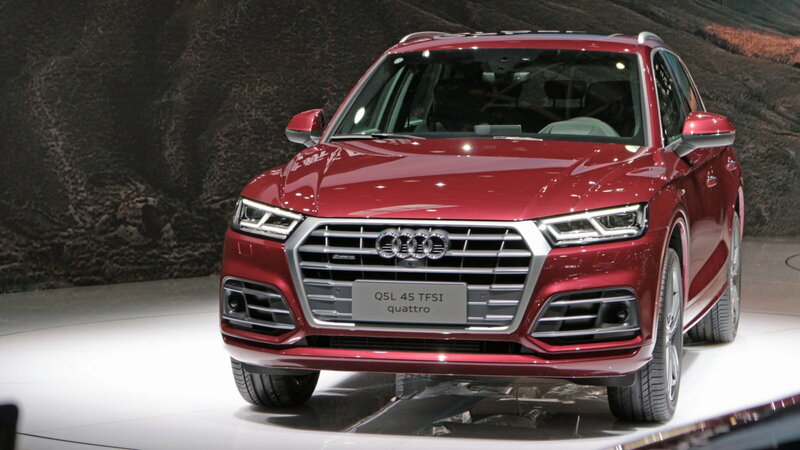 Audi launched the long-wheelbase Q5 in response to China’s unique demand for models with more space for rear passengers. 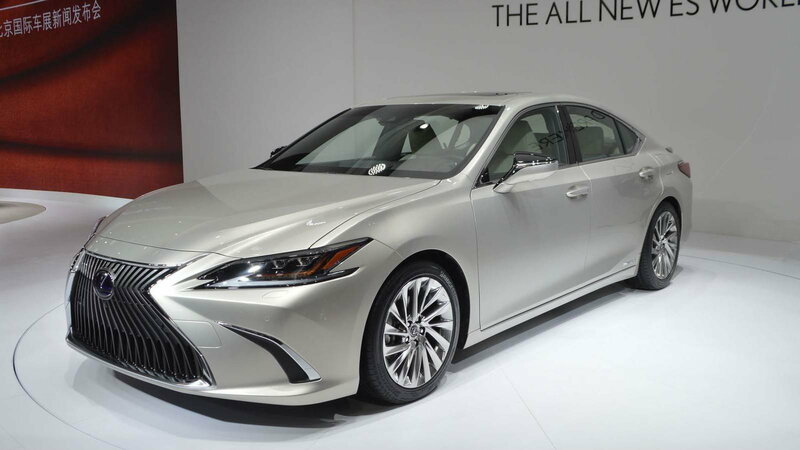 Lexus launched its new 7th generation ES luxury sedan ahead of its showing at the Beijing motor show and expected to be a replacement for the GS in Britain. The new Lexus ES is due out next year, positioned to go up against the BMW 5 Series and the Mercedes E-Class. The sedan is optioned with a 2.5-liter four-cylinder engine, or an electric motor producing 215-bhp combined. Infiniti promised to build electric cars since 2012 — but the world is still waiting. At the 2012 Detroit auto show, the upscale brand showed the Infiniti LE, a dressed up Nissan Leaf with a trunk, but it backed away from the model two years later and we didn't hear anything else about electrics from Infiniti for years. In January of this year, the company announced that most new models coming from Infiniti would be electric starting in 2021. To go along with the announcement, the company rolled out its Q Inspiration concept sedan, showing what an Infiniti would look like on an electric-car platform. 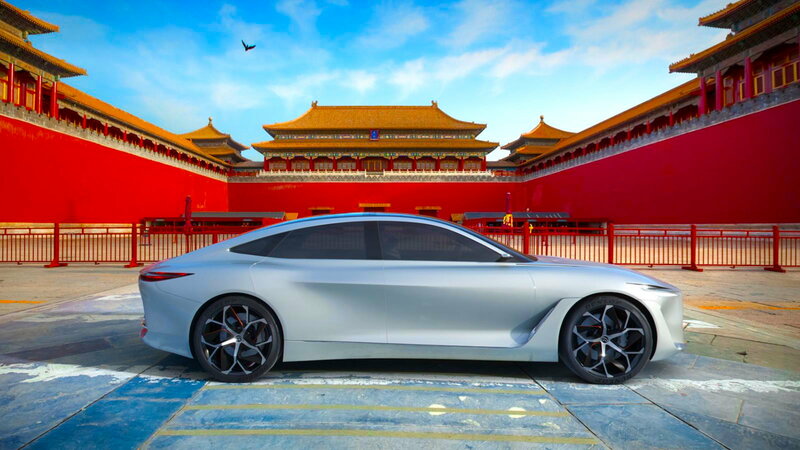 In Beijing, Infiniti announced that a sedan based on the Q Inspiration will go into production in China by 2023 and that its platform will spawn a whole new line of Infiniti electric cars. Volkswagen has long been one of the most dominant automakers in China. In Beijing. 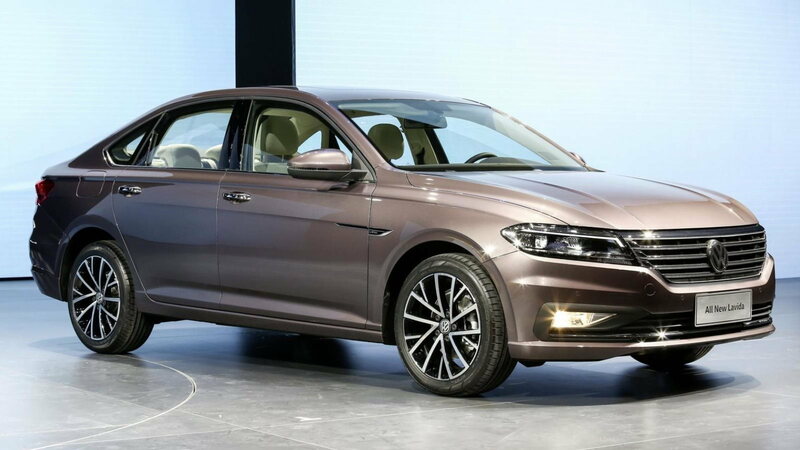 Volkswagen has unveiled a new version of its China-only Lavida saloon with ambitions of maintaining its stronghold at the top of the country's new car market. The outgoing Lavida was the best-selling three-box model in China last year, with 450,000 registrations. It represented one in seven cars sold by Volkswagen in China. Nissan introduced the IMx KURO electric crossover concept as the first Chinese car made for Chinese consumers. The IMx KURO electric crossover concept ultimately provides a glimpse into the future of Nissan Intelligent Mobility. The car’s advanced features are highlighted by Nissan’s exclusive Brain-to-Vehicle technology, which analyzes the driver’s brain waves to improve reaction times and increase driving comfort. 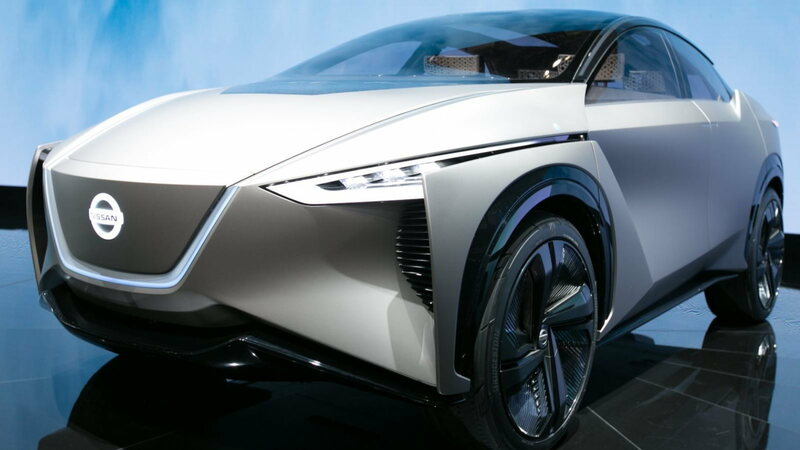 At the core of the Nissan IMx KURO's technological features is a future version of ProPILOT that offers fully autonomous operation. When ProPILOT drive mode is selected, the system stows the steering wheel inside the dashboard and reclines all seats, giving the driver more space and allowing the vehicle's occupants to relax and enjoy their commute. When Manual drive mode is selected, the vehicle returns the steering wheel and seats to their original position, seamlessly transferring control back to the driver. Nissan has been one of the leaders in fully electric vehicles with the Leaf. 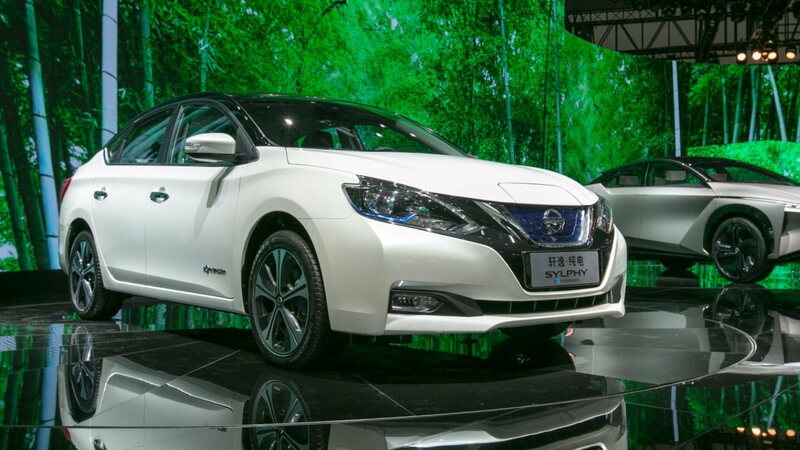 At the Beijing Auto Show, it unveiled the Sylphy Zero Emission EV to its Chinese-market. While based on the Leaf, it has a longer wheelbase to appeal to Chinese buyers and a liftback in place of the hatchback. “Never has a car looked more designed for China from Nissan than this,” says Autocar editor Rachel Burgess. “While mainstream saloons are struggling in Europe, here saloons are the ultimate sign of success." Built in China for the Chinese market, this model brings together the Nissan Sylphy's reputation for durability, quality, reliability and value with a proven, fully electric drivetrain. It features fast-charging capabilities and a 210-mile driving range. The car also includes Nissan Intelligent Mobility technologies such as Lane Departure Warning, Intelligent Emergency Braking, Rear Cross Traffic Alert and Blind Spot Warning. It will go on sale later in 2018. 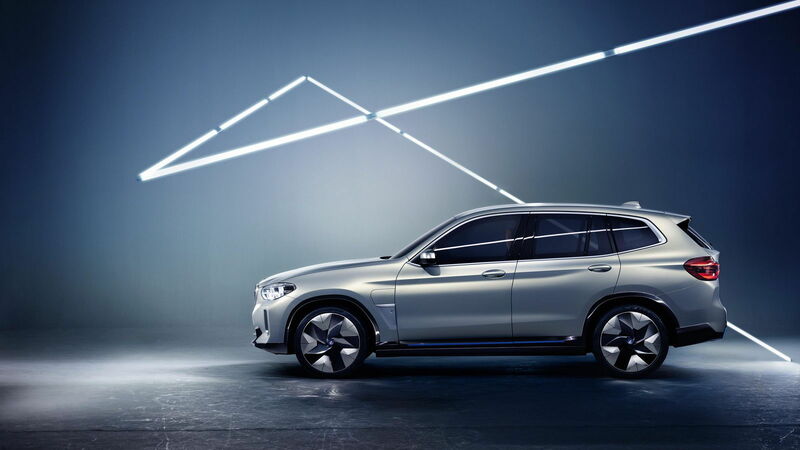 BMW's iX3 electric crossover concept also made its world debut in Beijing. BMW showed off a concept of the forthcoming pure-electric iX3, with the promise of a 249-mile range, but which seems very dull when compared with the i3 or i8, let alone the far funkier Jaguar I-Pace it will compete against. Equipped with a newly-developed electric powertrain and a newly styled body, the Ix3 is scheduled to go on sale in the UK in 2020, preceding the launch of a production version of the Vision Efficient Dynamics saloon revealed at last year’s Frankfurt motor show that BMW chairman, Harald Kruger, says is due out in 2021. Hongqi (pronounced “huntsi”) is a well-known Chinese luxury automaker that has been manufacturing limousines for Chinese high-ranking officials for 60 years. 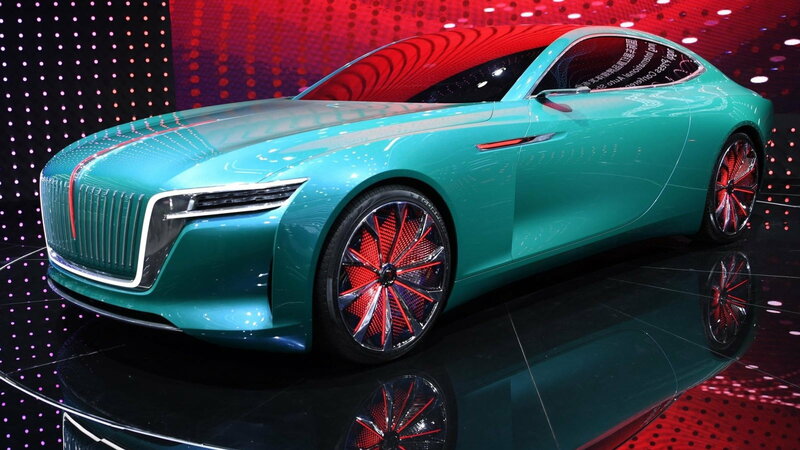 In Beijing, they showed off their E-Jing GT concept, a fully bling, all-electric sports coupe with hints of Bentley and Lincoln in the design featuring tiny headlights and huge wheels. The rear end is made in the spirit of Bentley cars, and an important panoramic feature is the long panoramic roof that extends to the luggage compartment lid. Instead of traditional mirrors, video cameras are used. The color is called Kansas Green, not after the US state but a lake in northern China. The company says this concept reveals some of the design direction for the 15 new models it plans to release by 2025. Check out this video of the Hongqi E Jing GT Concept right here. MG's Motion X is another electric crossover concept that made its world debut at the show. 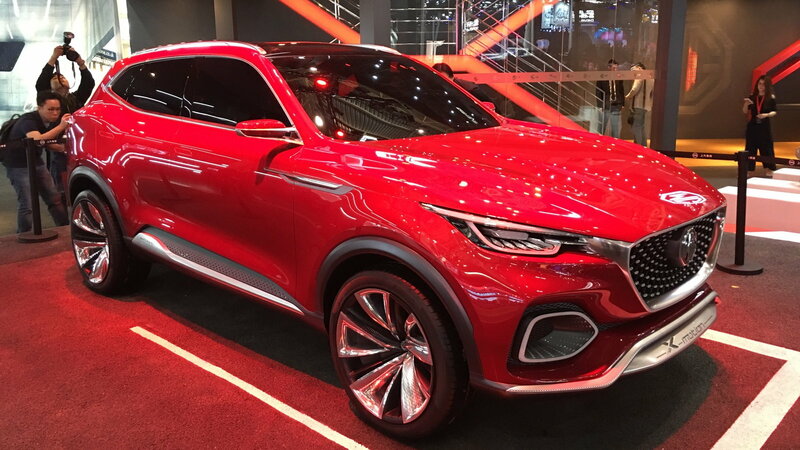 MG’s X-Motion SUV is scheduled to arrive first in China in 2019. The engine is based on the Roewe RX8, which welcomes 2.0-liter turbocharged motor that produces 221-bhp and 266 lb-ft of torque. Following its introduction to the Chinese market, the X-Motion will likely be offered elsewhere as part of MG’s global growth ambitions. Buick is currently one of China’s most popular entry-level brands and sells more cars there than it does back home in the United States. 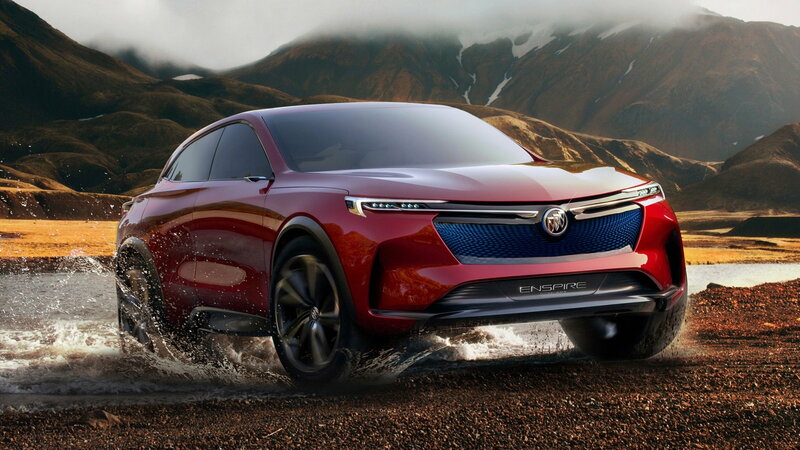 This year Buick introduced the Enspire, an all-electric crossover concept that boasts 370 miles of range. You can reportedly charge the vehicle up to 80 percent in just 40 minutes. Buick’s eMotion electric propulsion technology generates a maximum power of 410 kW, enabling the concept to sprint from 0-60 mph in 4 seconds. The SUV will feature advanced aerodynamics to accentuate the exterior's strong sculptured look, a "surround skyline" interior theme and suspended theater-type seating to give the Enspire a brighter, more spacious interior. Cutting-edge technologies include an OLED display screen and an intelligent augmented reality technology based head-up display system. For more information and photos, click here. Honda’s Everus concept accounts for the brand’s first EV in China. Designed to look similar to the HR-V, the Everus is due out next year. Honda has unveiled the Everus EV concept, which previews a future China-only fully elective SUV. 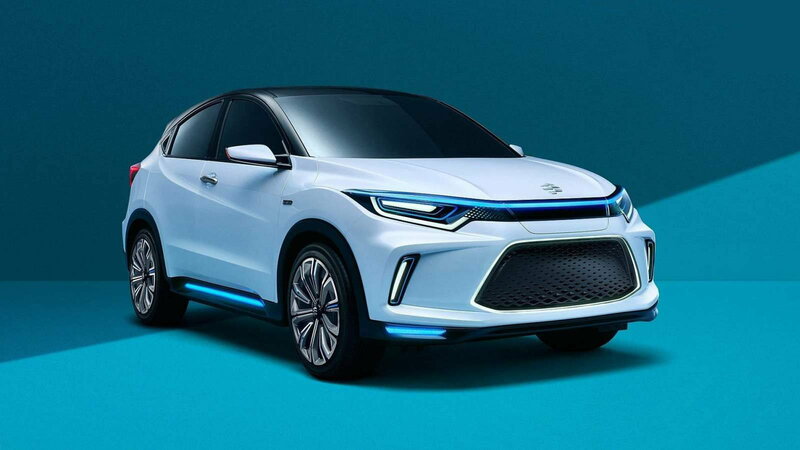 Yes, yet another fully electric SUV for the Chinese market. Chinese buyers are flocking to SUVs: while saloons sales have remained static since 2012, sales of SUVs have increased by 10 million, and now make up half the Chinese car market. The electric bit is all due to Chinese government tough emissions quotas, which are basically forcing firms to invest in zero-emission vehicles to avoid hefty financial penalties. US Speciality Vehicles’ mammoth G. Patton is named after World War II General George S. Patton. The eye-catching SUV has already been described as “the largest SUV in the world” and this may not be far from the truth. 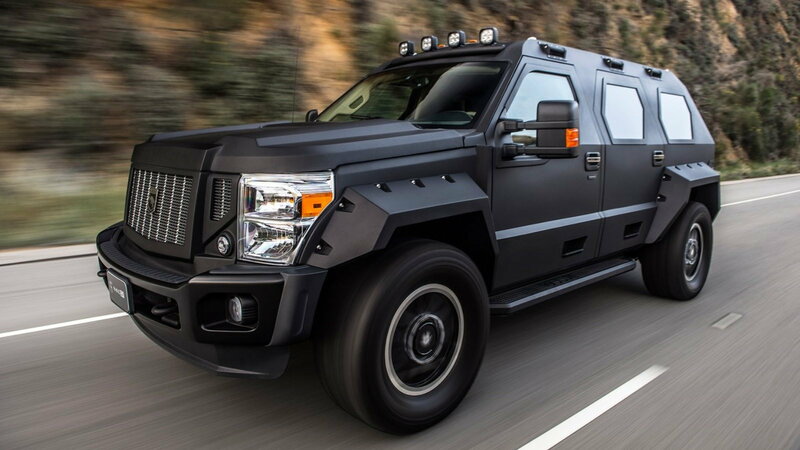 After all, this beast was created on Ford’s Super Duty chassis and “stretched” in length. The heart of this monster is a V6 engine with a power of 375 hp. Customers can choose a more sophisticated engine – a V8 turbo with a capacity of 6.7 liters or a gasoline V10 with a volume of 6.8 liters. The off-road vehicle USSV G.Patton GX is equipped with a four-wheel drive. According to Patton’s grandson, who introduced the SUV on stage, "Everything else on the road should lead, follow, or get out the way." Saving the most interesting for last, we offer you a glimpse of the world’s first 3D-printed car which also made its public debut at the Beijing show. 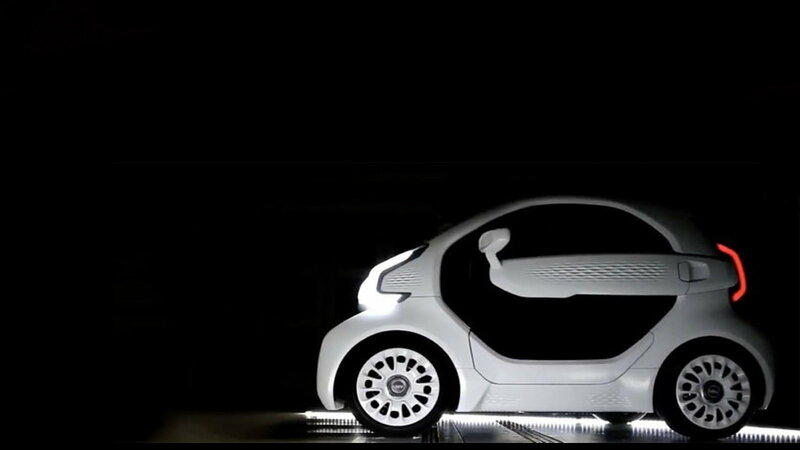 Produced by Chinese company Polymaker and Italy-based vehicle manufacturer X Electrical Vehicle (XEV), the Smart-sized LSEV is almost entirely made using 3D printing technology, which creates parts from the ground up, layer by layer. Only a few components, such as the chassis, glass windscreen, and tires, are made using conventional methods. The rest are printed, drastically reducing waste and enhancing efficiency. The prototype is claimed to be capable of a 93-mile range and can do 43 mph. It weighs 992 lbs – close to half that of a Smart Fortwo. It took three days to build the prototype and XEV expects production to eventually total around 500 units per year on a single production line. When sales open sometime in late 2019, most likely in China first, prices are estimated to start at about $9,600. For help with your maintenance and repair projects, please visit our how-to section in the forum.